The Chil Sung (七 星) Hyung are the prime picture of the art of Soo Bahk Do™ Moo Duk Kwan™. Created in 1952 by Hwang Kee, Chang Shi Ja (CSJ), Chil Sung Hyung are the hallmark of the art of Soo Bahk Do™. They embody the knowledge Hwang Kee, CSJ acquired from decades of training and study. This essay will discuss the history, meaning, and character of the Chil Sung Hyung. To fully understand a hyung, it’s important to understand the history of its founder. This provides context and perspective on the form. We begin to understand its unique “Ryu Pa” as you understand the influences that played a part in its creation. Hwang Kee, CSJ’s training comprised of many martial arts throughout the years. He studied in numerous “Neh Ga (內家)” and “Weh Ga (外家)” systems including So Rim Jang Kwon (少林 拳), Tae Kuk Kwan (太極拳), Dham Doi Sip E Ro (潭腿), Tang Soo Do (唐手道)–Kara Te Do–, and Tae Kyun. Weh Ga Ryu (Outside House Style) in China is mainly recognized as So Rim Jang Kwon, more commonly known in English as Shaolin Long Fist. It originated in the Buddhist temple at Shaolin. It’s known for it’s intense “ryun bup”, or conditioning of the body and a focus on strong, powerful hand and foot techniques. The long fist techniques are akin to our Hwa Kuk techniques that are found in many of the Chil Sung Hyung. Many of the same techniques– namely Jang Kap Kwon and Jang Kwon Do–can also be found in Dham Doi Sip E Ro, a foundational set of exercises practiced in many Jang Kwan systems. Weh Ga Ryu techniques are characterized as light, quick, and powerful. Other Weh Ga martial arts that influenced Chil Sung include Tang Soo Do (Kara Te Do), where you will find basic techniques such as Ha Dan Mahkee, Choong Dan Kong Kyuk, and Soo Do Kong Kyuk. One example of Tang Soo Do influence is the sequences in Chil Sung Sam Ro where you turn back up the front of the form line and perform Sang Dan Mahkee/Teul Oh Soo Do, Ahp Cha Gi, lunging Kap Kwon in Kyo Cha Rip Jaseh. This sequence can also be found in Pyong Ahn Sa Dan, which was influenced by Kong Sang Koon. These are both Tang Soo Do hyung. Conversely, Hwang Kee, CSJ studied a Neh Ga (Inside House) system called Tae Kuk Kwon (Tai Chi Chuan) that was created by Chinese nationals and centered around the tenants of Daoism, a religion founded in China by No Ja (Lao Tzu). Not only was it a practical martial art, but also focused on Daoyin(導引), or Daoist calisthenics. These were used for self cultivation and included exercises such as Ba Duan Jin (八段錦), or Moo Pahl Dan Kuhm in Korean, and Yi Jin Jing (易筋经), or Yuk Keun Kyung in Korean. Specific daoyin techniques can be found in some of the Chil Sung Hyung. Chil Sung Sa Ro for example, has the same posture as Moo Pahl Dan Kuhm #4. Within the Chil Sung Hyung, you will find many techniques influenced by Tae Kuk Kwon as well. The preparation of the first technique of Chil Sung Il Ro is also the initial movement of Tae Kuk Kwon Hyung, called Pong (掤) or Ward Off. Other obvious Tae Kuk Kwon postures found in Chil Sung Hyung include Press (擠) and Push (按). I imagine after further study, other postures will be more apparent in the Chil Sung Hyung. “After Chang Sam Bong mastered So Rim Bup [Shaolin Long Fist Style], he founded the Nai Ka [Neh Ga] system. If one can master a few Nai Ka [Neh Ga] techniques he will be victorious over the So Rim practitioner. Here it is apparent that Hwang Kee, CSJ saw value in both Neh Ga Ryu and Weh Ga Ryu, and thus created a new system called Choong Gan, or Middle Way. The Chil Sung Hyung have characteristics of both Neh Ga and Weh Ga. Some techniques are light, fast, and powerful, where others focus more on breath, energy, heaviness, and Sun Sok Mi (line, speed, beauty) and we transition from one to the other with ease. Having both elements of Neh Ga and Weh Ga, the Chil Sung forms are truly representative of Hwang Kee, CSJ’s Choong Gan Ryu, leveraging the advantages of both philosophies of thought. Within the Chil Sung Hyung, however, you will find some techniques that neither fit the traditional mold of Neh Ga or Weh Ga. These are uniquely Soo Bahk and come directly from the Kwon Bup section of the Moo Yei Do Bo Tong Ji (武藝圖譜通志). The Moo Yei Do Bo Tong Ji was a war book on enemy war tactics, written by Park Je Ga and Lee Duk Mu during the reign of King Jong Jo, that included the sword, spear, staff, and even open hand called Kwon Bup (拳法), or Fist Method. The book had a diagram of a two-person form and had pages of text explaining various training methods and postures such as Yuk Ro and Ship Dan Kuhm. Some of these training methods and postures can be found in Chil Sung Hyung such as Ta Ko Shik (beating drum method), Po Wol Seh (Embrace the Moon Posture), etc. From the complexity of the Chil Sung Hyung, it is apparent that the Chil Sung Hyung series is a compilation of Hwang Kee, CSJ’s knowledge throughout his life and a guide to understand his intentions for the art, combining the best practices of both Neh Ga Ryu and Weh Ga Ryu into his unique Choong Gan style. This line of thinking is further substantiated by understanding the name itself. Chil Sung means 7 Stars and it is often stated that these 7 Stars reference Ursa Minor, or the Little Dipper. The 7th Star is Polaris, the North Star, which was used as a guide for travelers to find their way. This is used as a metaphor that we can use the Chil Sung forms to guide our training in Soo Bahk Do™ Moo Duk Kwan™. It is through these forms that we can feel the essence of the Art. Chil Sung Il Ro – This hyung introduces Neh Gong techniques and allows us to focus on connection between your breath and chain of command throughout the technique. Earth Energy (Ji Ki) is a significant factor in the hyung. Chil Sung E Ro – This hyung is the most basic and closest in style to the traditional hyung of Tang Soo Do. The focus is on balance and Ki Seh, or poise. 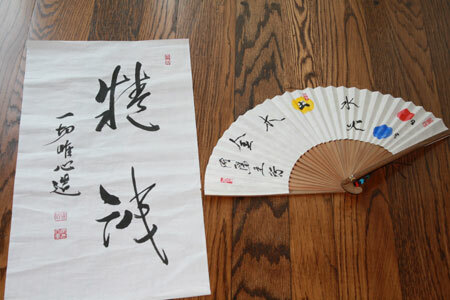 Chil Sung Sam Ro – The hyung is very active in nature, similar in energy to Bassai. It is through this hyung that many of the Soo Bahk Ki Cho are practiced such as Do Mal Shik, Ta Ko Shik, and Yo Shik. Chil Sung Sa Ro – This is a physically demanding hyung with a clear emphasis on Shin Chook which translates to Relaxation and Tension but is also closely aligned with expansion and contraction. Chil Sung O Ro – No other hyung allows you to more easily carry the energy from one movement to the next. It is through this hyung that you can learn to keep your arm full of energy (Ki). Chil Sung Yuk Ro – Chil Sung Yuk Ro is by far the most complex of the six. Like Chil Sung O Ro, energy carries from one technique to the next. What I find unique in this hyung is the diversity of movements and a better understanding of space. You will find techniques on the ground, standing, in the air, spinning, and jump spinning. If we look deeper into the true meaning of Chil Sung, one must understand Korean culture and philosophy. Chil Sung is a well known term and Chil Sung monuments can be seen throughout Korea. Jang, Dae Kyu, Sa Bom Nim taught me on multiple occassions that Chil Sung is used in Korean daily life to understand the balance of nature and to provide physical health and total well-being. Chil Sung is a composite of Tae Guk (太極), or Um/Yang, plus O Haeng (五行), or 5 Elements or Energies . The Um Yang is the red and blue symbol found on the South Korean Korean flag. Oh Haeng represents the 5 elements: Wood, Metal, Fire, Water, and Earth. Everything in our world are manifestations of Chil Sung and through careful study, we can find elements of Chil Sung throughout our training and also in our daily life. As we delve deeper into Chil Sung Philosophy, we’ll find additional benefits of training Chil Sung Hyung and acquire a more profound understanding of the art of Soo Bahk Do™ Moo Duk Kwan™. In my opinion, Hwang Kee, CSJ’s culminating creation within the art of Soo Bahk Do™ is the Chil Sung Hyung. No other set of forms better exemplify all aspects of the art of Soo Bahk Do™ Moo Duk Kwan™. They truly are a guide with deep historical and practical significance. *The following article was submitted as a part of my O Dan Shim Sa for the Euro Soo Bahk Do Moo Duk Kwan™ Technical Advisory Committee. All of information provided here is based on my own personal research and may not align with the official teachings of the US Soo Bahk Do Moo Duk Kwan™ Federation. Tang Soo Do (唐手道) is a generic term that means “Way of the China Hand”. Pronounced “Kara Te” in Japanese, this was a term that the Korean people recognized in the early and mid 20th Century. Tang Soo Do today is known across the world as a generic term for those who have a historical connection to Hwang Kee, Chang Shi Ja. In this paper, I use the term Tang Soo Do in its original context, of Japanese Karate that came from the Ryukyu Island of Okinawa, which in turn came from China during the “Tang” Dynasty. Thanks a lot for this article, Corrales Sa Bom Nim. – the “Seven stars” posture (which is a sparring stance in hugul jaseh) Hwang Kee may have known. – in Chilsong Oro Hyung second part, after the Jang kap kwon and Choi hadan makhee, when the front hand makes a circular move in Yuk soo do position ; this movement is part of what is called in Tae kuk kwan “grab (or caress) the peacock’s tail”. Thank you Mollet, SBN. I have not heard of Caress the Peacock’s tail. I knew there were additional movements. I hope to learn the TAe Kuk Kwon Hyung someday. It seems you have a great deal of knowledge in that realm. You should consider posting some of it online. Soo Bahk! I very much enjoyed your article! It is very well written, and helps the student better understand, more then just mere techniques, but rather the foundation to the art. To understand the Chil Sang is to better understand the Founder and his life’s work. Thank you so much for sharing you essay! Soo Bahk! Thank you for your kind words Lemner, Sa Bom Nim. I hope others will also benefit from this information and also be one of the foundations for additional study as Mollet, Sa Bom Nim has already contributed. There is much work to be done specifically on Chil Sung Chul Hak and how it relates to Um Yang and Oh Haeng. In Australia we also have 7 stars that enable us to fairly accurately find direction. By aligning the 5 stars of the Southern Cross with Alpha and Beta Centauri we can find south to within a few degrees. I guess the concept of ‘chil sung’ is truly international. I noticed that not too much is discussed on Chil Sung Chil Ro hyung? Can this be elaborated on? Great thought. As I do not yet know Chil Sung Chil Ro, I decided not to comment on the Hyung. Once I feel proficient enough to comment on Chil Sung Chil Ro, I’ll definitely add it to the article. Great suggestion. I’d also be very interested to hear from those who know Chil Sung Chil Ro to elaborate on its theme, character, and history. Thank you Sir, Excellent article. Thank you for sharing this with us. I really enjoyed reading this and learnt a lot from it. I love reading articles on the history and philosophy behind our art as there is so much to understand and learn. This is just one of the things that makes it so great. You raise a great question, Mr. Warner, and I appreciate your interest. I understand that the Chil Sung Hyung were created in stages, which makes sense. All 7 Chil Sung Hyung would be hard to create in a single year. Moo Duk Kwan practitioners also did not move the way we do in some of the higher Chil Sung Hyung until more recent times. They were also presented to the Moo Duk Kwan in stages beginning in 1952 and into the 2000s. I would think this somewhat correlates with the time they were created. I actually asked Kwan Jang Nim the dates that each Chil Sung Hyung was first introduced. I have it documented somewhere. I’ll try and find all of the dates. None of the Chil Sung Hyung that has MYDBTJ qualities were created prior to 1957, that’s for sure. Chil Sung Il Ro has many Tae Kuk Kwon influences and Chil Sung E Ro is more of a Tang Soo Do Hyung. When I imply a connection between Chil Sung Hyung and MYDBTJ, I am referring to techniques such as Ta Ko Shik, Yo Shik, etc that are related to the Sam Ship O Yeon Soo Bup (35 Conditioning Hand Techniques). These and others are found throughout the Chil Sung Hyung. I believe the Chil Sung Hyung is a compilation of all that Hwang Kee, CSJ knew. There are pieces from all of the various styles he studied in Chil Sung Hyung, including Kwon Bup in the MYDBTJ. Hwa Sun is the true Hyung that comes from the MYDBTJ. Yuk Ro Hyung has a connection to the MYDBTJ by name and a few techniques, but I’ve found more correlations with Tan Tui. I hope this is helpful. Again these are my thoughts and do not come from any Federation supported literature. I’m not familiar with the website you cited. Do you know who manages the site?